Social media offers municipalities efficient and cost-effective ways to engage and inform residents, community visitors and businesses on a myriad of topics. 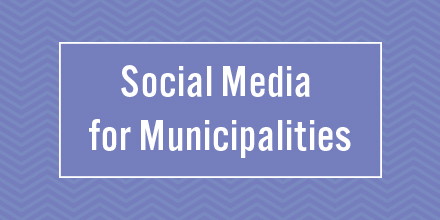 But, in order to be effective, municipal leaders must understand the benefits and manage the risks of social media use without crossing into certain gray areas. The post will address the benefits only. Many leaders in smaller municipalities shy away from using social media for official purposes. The common barriers to entry are budget, buy-in, the time commitment and a general lack of understanding of what social media is and how it can be beneficial. Social media describes the online technologies and practices that people use to share opinions, insights, experiences, and perspectives. Social media content can take many different forms, including text, images, audio, and video. The term “social media” refers to forms of electronic communication through which users create online communities to share information, ideas, personal messages and other content. Social media provides new and capable ways for governments to communicate the value they provide to their residents. It offers cities/towns/boroughs a way to create added value by providing more targeted, useful, and detailed information and opportunities. Questions to ask when deciding to participate in social media for municipalities. Several questions need to be answered before engaging in social media activities – which should not be ad hoc, a more common than not approach. Does your municipality and its leaders understand the benefits of social media? Does your municipality and its leaders understand the pitfalls, risks and liabilities of managing a social media presence? What protocols can be implemented to manage the risks and liabilities of social media engagement? What best practices and training programs can be implemented for successful use of social media? 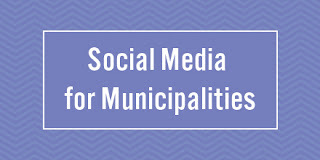 Benefits of social media engagement for municipalities. Among the many benefits of an effective social media presence with relevant and regular content is that it can boost resident loyalty and engagement for municipalities. Thousands of elected officials in all aspects of government are using social media platforms such as Facebook, Twitter, Snapchat, LinkedIn and YouTube to communicate with their audiences. And yet, many boroughs, townships, cities, and other types of municipal entities are either not engaging or not engaging properly. Doylestown Township, Bucks County, PA, which maintains active profiles on Twitter and Facebook with a prominent social media policy on their website. Easttown Township in Chester County, PA, maintains social media profiles which can be followed from their website for their township, police and library. The City of Philadelphia maintains a social media policy and profiles on various social media platforms including City of Philadelphia Government on Facebook, @PhiladelphiaGov on Twitter, and many government-sponsored videos on YouTube. What examples do you know of that demonstrate a positive and effective use of social media by municipalities? Please share your examples below.